Thank you for your interest in our organization. 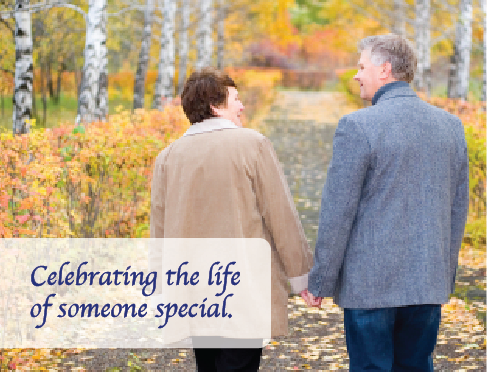 We offer a level of commitment which we believe exceeds that of other funeral homes in the Kansas City area. Our sense of calling in providing meaningful funeral and cremation services has led us to consider our efforts as ministry. We provide services that other providers in the area are unable to duplicate. Our custom-made DVD photo tribute is very popular and is included in our main service packages. Our General Price List, an arrangement guide located here, gives information about our services and ceremonies. It can be a valuable resource for families. We encourage you to visit our chapels in person, take a tour, talk with a director, pick up a General Price List and get a feel for the many advantages we offer our clients. We would be honored to assist you. Please keep in mind that we are one of the only family-owned and operated funeral homes left in the area. We own and operate our own cemetery, and are the only cremation provider in Independence to have a crematory. This section provides you with a wide variety of information regarding the services that are available at Speaks Family Legacy Chapels. We are one of the only family-owned crematories in the entire Kansas City area. For millennia the death of someone we love has been attended with ritual, a gathering of friends and family, with songs and sharing, and with caring for the body of the deceased. Operated by Speaks Family Legacy Chapels, the cemetery features a simplicity that is very attractive, providing a quiet place to go and remember.